Applicants accepted into the Homeownership Program struggle with housing that is inadequate. Inadequate housing is often one or more of the following: unsafe, unaffordable, unhealthy or inaccessible. Need is established based on a variety of factors, including, but not limited to: the condition of current housing, space considerations, and cost burden. 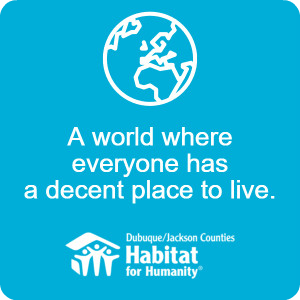 Approved applicants must demonstrate their willingness to partner with Habitat by investing sweat equity in their home. Homeowners will put in 200-300 hours of sweat equity prior to moving into their home. Hours can be completed by working on the build site, attending first-time homebuyer classes, volunteering at Habitat events, etc. 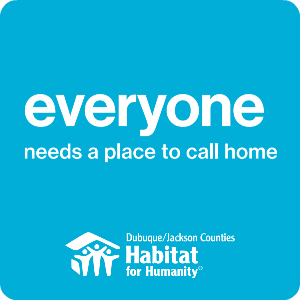 Habitat homes are not given away. Approved applicants will pay an affordable long-term home mortgage. Households must demonstrate steady income and must meet income criteria. 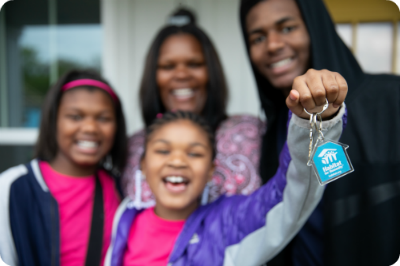 Habitat homeowners purchase their home. We secure affordable financing and create a payment plan that ensures homeowners do not spend more than 30% of their monthly income on housing costs.